This Event has been read: 671 times. After this weekend some people may say they need a break, but I say we need to keep the party going and we have another "Once in a Lifetime" tasting planned for Friday march 15th with one of the five first growths of Bordeaux Chateau Mouton Rothschild. When arguing about which of the five first growths is the best there is no question that Chateau Lafite is now the most expensive, but if you look at the quality of the wines there is little difference between Mouton Rothschild and Lafite Rothschild. You could argue that Mouton is better simply because it is the only Chateau in Bordeaux to ever be elevated from its original classification in 1855. Chateau Mouton Rothschild started out as a 2nd growth, but through the dedication of the late Baronne de Philippe Rothschild the powers that be in France decided to elevate this Chateau to first growth status in 1974! 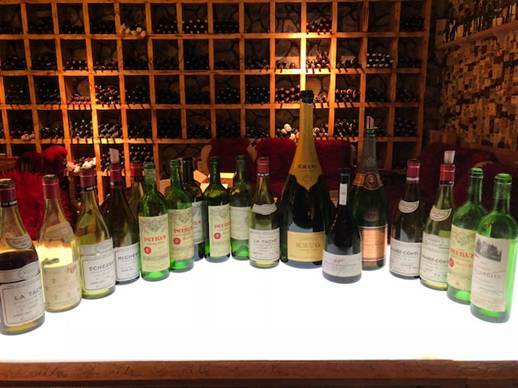 We are going back past 1974 to the legendary 1961 vintage with two (100 Point) wines from Chateau Mouton Rothschild, the 1982 and 1986. We also have an offering of wines available from this Chateau after the info about this tasting. Chef Toni Lampasone will be making a special 5 course menu to accompany the tasting wines. There are only 16 seats available for this event and the fee is $995 per person + Tax, for reservations call 954-523-9463. It is without doubt the most interesting and the most controversial of all the châteaux in Bordeaux; and its former owner, the late Baron Philippe de Rothschild, would have it no other way. There have been four generations of Rothschilds since the Baron's great grandfather, Nathaniel, bought the château in 1853; but the family did not take much interest in Mouton until young Baron Philippe came to live on the property in 1923 - the first Rothschild to be a live-in proprietor. It was to signal a new era for Mouton and a new era for Bordeaux, for not only did the Baron Philippe begin to do much to attract the world's attention to the merits of his own wine, he also generated a great deal of interest in the entire Bordeaux region. After fifty years of hard work, Baron Philippe scored a great personal triumph in 1973. In that year Mouton was reclassified from a second to a first cru in the elite 1855 Grand Cru Classification, a long-overdue recognition and the first time a wine had ever been upgraded in this controversial and ossified classification. In 1945 Mouton began the controversial practice of adorning each new vintage with the work of a famous artist (such publicity gimmicks were considered "bad form" among the staid, aristocratic society of Bordeaux.) However, the "label art" today has become something famous in itself (the labels themselves are now collector's items and one must get his original by purchasing a bottle), and the original objections raised have long been forgotten. Some of the great artists of the 20th century have done work for the labels - Braque, Dali, Chagall, Kandinsky, and Picasso. 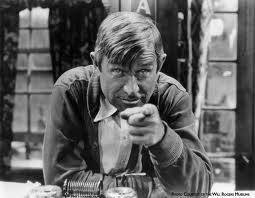 Andy Warhol did the 1975, and John Huston, the movie director, painted the label for the legendary 1982. In addition to presiding over one of the world's great wine estates for some sixty years, Baron Philippe had also been a great patron of the arts. The château itself is a major tourist attraction in Bordeaux and houses one of the world's great wine museums. The chai, in which new vintages of Mouton age in shiny barrels, is a breathtaking sight for the winelover. The great Baron died at his home in Paris in January of 1988, and his funeral was one of the largest ever witnessed in the Médoc - nearly 1500 people attended a grand ceremony at the Château. 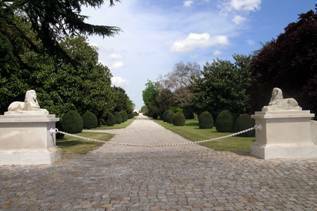 Under French law, the dead may not be buried at their estates, but the Rothschild family was granted an exception by the authorities. The Baron's daughter, the Baroness Philippine de Rothschild, assumed control and management of the Château after her fathers death. Over the course of the past few years, the Baroness has been actively involved at Mouton, and there was never a doubt that she would continue the legacy established by her father. 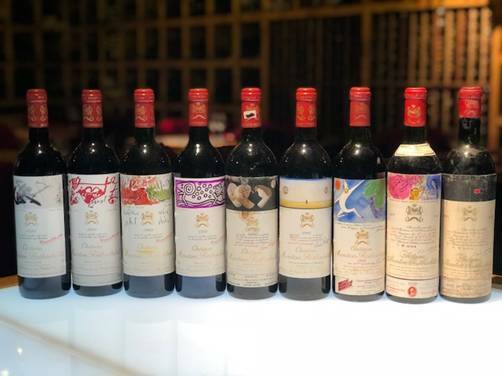 Certainly the circumstances could not be more favorable, for Mouton-Rothschild has been on a roll in the 1980's - the château has produced some of the greatest wines in its history and arguably the greatest wines in Bordeaux. Mouton Rothschild is planted to 80% Cabernet Sauvignon, 10% Cabernet Franc, 8% Merlot and 2% Petit Verdot. The vineyard is mostly gravel on a subsoil of marl and clay. Vines are planted 8,000 to 10,000 per hectare. Average yield per hectare is 35 hectoliters. Pruning is Guyot Double Medocaine Keep this wine around for 10-15 years, although at that time you may not want to drink it after you check the current sale price.